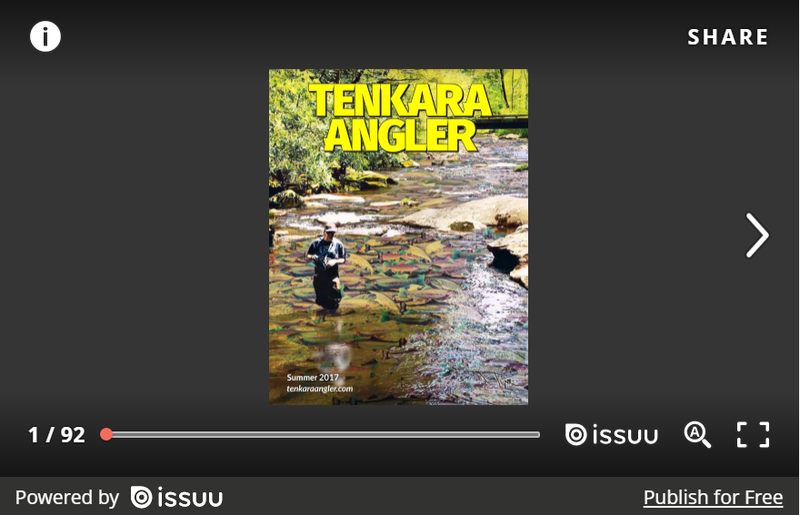 However, it is finally my pleasure to announce that the Summer 2017 issue of Tenkara Angler magazine is now live! It took a little longer than I thought it would to pull everything together, but it's done, and I hope the contributors and community will be happy with the results. This issue covers many topics, included but not limited to – wild trout, the Wisconsin Driftless, fly tying tips, an interview, and gear previews. 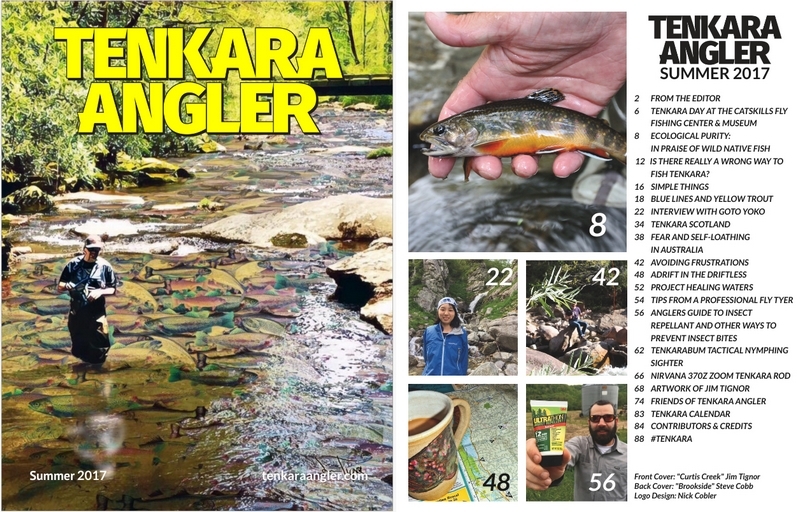 Quite a bit of the content is tenkara related, but not tenkara specific. Stuff any angler would enjoy. And also available for sale as a physical magazine in both Premium or Standard formats and PDF download in the Blurb bookstore, HERE. An excellent issue - you do great layout work! Great edition! Enjoyed it quite a bit!